Access to high quality biological materials is essential for research on rare diseases. Thus, rare disease biobanks wishing to submit data to RD-Connect will undergo a simple assessment process via a questionnaire before acceptance to the platform. The Panel for Biobank Assessment will consider the biobanks against a set of criteria to ensure they meet minimum quality assurance. The RD-Connect Panel for Biobank Assessment is formed by experts with knowledge in: Biobanking; IT infrastructure and management; Current advances in scientific/clinical research in rare diseases and Ethical, Legal and Social Issues (ELSI). Panel members will participate in their personal capacity; the turnover will be on a 2- or 3-year basis and may be renewed once for further 2 years. In case of questions, please contact biobanks@rd-connect.eu. After proposing the biobank via the Registry & Biobank Finder, the biobank manager / submitter will get a personal secure access to the questionnaire. A panel of internationally recognised biobanking experts (Panel for Biobank Assessment) will review the biobanks against a set of criteria to ensure minimum quality assurance is met. To add a biobank or a patient registry to the system, click on the "Propose" button marked by the red arrow. To publish samples in the RD-Connect Sample Catalogue a biobank must first be registered in the Registry & Biobank Finder (see the Registry & Biobank Finder user guide below). Once the biobank’s application has been approved they will be contacted to set up the publication of the samples in the Sample Catalogue. 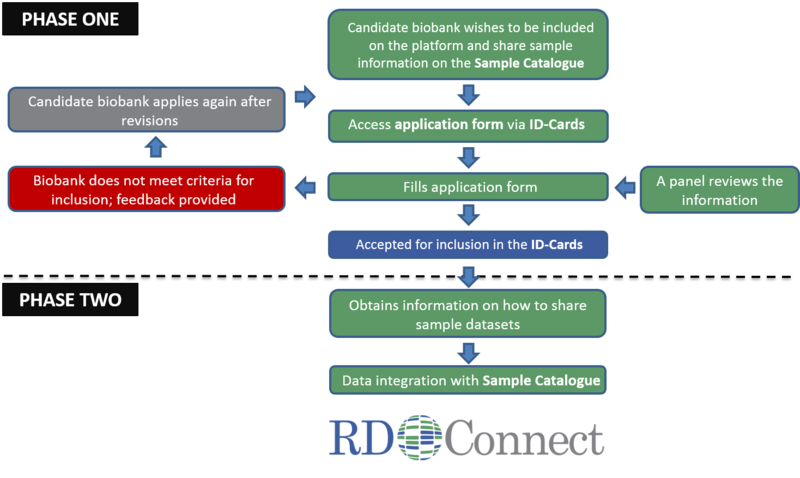 To share biosample collections in the RD-Connect Sample Catalogue, the applying biobank first needs to fill the application form via the Registry & Biobank Finder. The application in reviewed by the Panel for Biobank Assessment. If the opinion is negative, the panel gives feedback to the biobank, which is encouraged to make the suggested improvements and apply again. The biobanks that receive approval from the Panel receive information how to upload information about their sample collections in the Sample Catalogue. 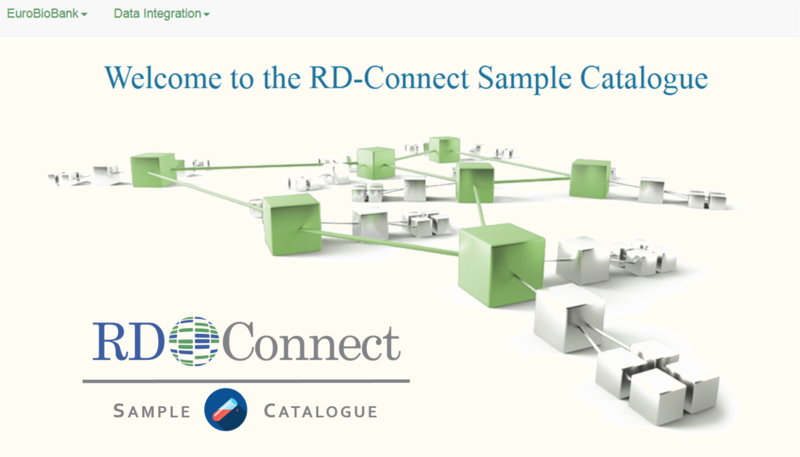 Rare disease biobanks may join the RD-Connect platform and contribute to its online Sample Catalogue and Registry & Biobank Finder. An approval procedure entailing specific assessment criteria ensures adherence to minimal entry conditions and the adoption of any standardisation and harmonisation measures needed for a successful inclusion to the RD-Connect platform. 1. Disease(s) of interest: Interested biobanks must already store collections of rare disease biological samples; the RD-Connect Panel for Biobank Assessment will evaluate the candidate biobank on the basis of the rare disease focus of the sample collection, which must be clearly described. 2. Quality Standards (QS): Biobanks should have a quality system in place for the operational management, including quality assessment/quality control for sample and data management. QS for sample management should follow best practice guidelines such as those of the OECD or, in the future, the upcoming European standards for pre-analytical treatment of biological samples.